3rd century B.C.–2nd century A.D. 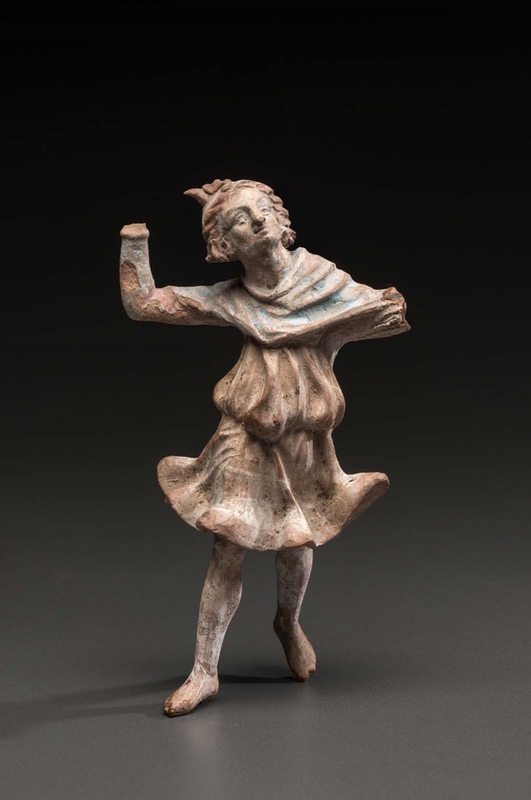 Girl dancing, wearing short chiton colored red, and blue scarf. Face grotesque. Missing: right hand, left arm from above elbow. Flesh colored white.